As you may know from our recent blog post, The Bucket List Company will be heading to the Adventure Travel Show this weekend in London. We’re currently putting all of the last minute preparations together for our exhibit, and we’ve just given away two pairs of free tickets for the show! It’s all getting very exciting. So, we thought we would help out our lucky prize winners – and anyone else who might be heading to Olympia this weekend – by putting together a guide to what to see and do at the Adventure Travel Show 2019. There will be so much to experience at the show, but here are our top picks of the bits you shouldn’t miss! Oh – before we get into the good stuff, you’ll probably want to know all the important info about the show. Well, it’s being held in Olympia, London this weekend, Saturday 19th and Sunday 20th of January. On Saturday, it will run from 9am-6pm, and on Sunday we get a little lie-in, as doors open from 9:30am-5pm. Tickets are still available! A day ticket costs £9 if you book in advance and £11 on the door, whereas a weekend pass is £16 advance, £18 on the door. When you’ve seen everything the show has to offer, we think you’ll agree that this is an absolute bargain. Get your tickets here. The Adventure Travel Show is based around a series of talks, seminars, workshops and films all on the subject of – you guessed it – adventure travel. You can find the full programme for the show on their website, but here are our suggestions on what to check out. Visit us and enter to win a free trip to Morocco! As well as events, there will also be hundreds of exhibitors at the show, including us! So, of course our number one suggestion for the show would be to come and visit us at stand C19! We’ll be there all weekend, letting people know about our incredible adventure trips around the world. If you want to know more about the Everest Base Camp trek or want to tick Machu Picchu off the bucket list, we can tell you all you need to know. Doors open at 9am, so come and say hi first thing! We’re also running a very exciting competition to win a free trip to Morocco. All you have to do is enter your email address with us or on our webpage, and you could be hiking through mountains and exploring the souks of Marrakech for free! The Cicerone Trekking Workshops are being held throughout the weekend by a group of seasoned hikers and explorers. If you’re thinking of heading out on your first long trek, this is a great workshop to introduce you the skills, equipment and planning needed to undertake a multi-day hike. If you’ve got half an hour to spare this morning, why not pop over to the Adventure Planning Seminars? These are running all weekend, so there’s no rush – but they are definitely worth a visit if you are planning a big independent trip in the future. Led by travel writer Antonia Bolingbroke-Kent, these sessions will allow you to ask questions about preparation for independent travel. You will need to buy a ticket for these seminars on the website. Going on a safari is on many people’s bucket lists, which is why we include an unforgettable safari trip in our Ultimate Tanzanian Experience trip, and as bolt-on extras for many of our adventure trips in Africa. In this talk in collaboration with the African Wildlife Federation, expert Dr. Kirstin Johnson will discuss the success of the conservation efforts of safaris in Africa. Hear some heartwarming stories of animal resilience and recovery in this inspiring wildlife talk. The Adventure Auditorium is the main theatre for the Adventure Travel Show, where all of the most popular talks will be held. This year the ‘headline act’ is none other than professional explorer, writer and photographer Levison Wood. You may know him from the book and TV shows ‘Walking the Nile’ and ‘Walking the Himalayas’. Levison has spend his life embarking on immense overland treks through dangerous and challenging destinations. A true adventurer, Levison is an inspiring speaker, and this talk, sharing dramatic stories and advice from his recent 5000-mile circumnavigation of the Arabian Peninsula, from Iraq to Lebanon, is definitely going to be gripping. Head on over to the World of Adventure Theatre after lunch to gain an insight into one of the most magical experiences to be had in the world – camel trekking in the Sahara. Travel expert Chris Scott will be sharing a photographic journey through the Sahara on camels, led by nomads. He will discuss the practicalities and possibilities of Sahara camel trekking. Alternatively, if you can’t make it, pop by and chat to us about our unforgettable Sahara treks, where you will get to walk alongside these characterful creatures! 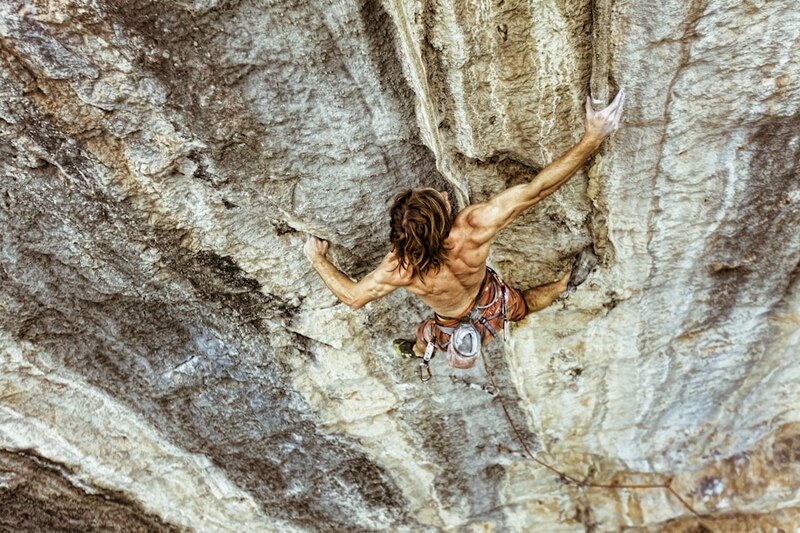 Chris Sharma – What Does it Take to Conquer the Most Difficult Climbs in Catalonia? Chris Sharma is one of the most famous rock climbers in the world, so who wouldn’t want to see him speak live? This is an unmissable opportunity to hear from the man himself about why he loves climbing in Lleida and Catalonia – destinations which he has made iconic for all rock lovers. But Sharma won’t just be discussing how to send some of the world’s most challenging climbs, he’ll also share stories of snowboarding, white-water rafting and cycling in the land he calls home. Over the weekend, Wanderlust Magazine will be running six workshops for individuals who want to improve their travel photography, writing, or who want to work in the travel industry. If you want to work on your travel shots – whether for a blog or just your Instagram feed – this seminar by award-winning photographer William Gray will help you take your photography to the next level. All Wanderlust seminars cost £30 each when booked in advance. On Saturday night, the day finishes on a high with the Adventure Travel Film Festival. Don’t miss the chance to watch several captivating short films, plus a feature film, “The Road to Independence” by Olie Hunter-Smart. “The Road to Independence” follows Olie’s 4,500km journey across India to uncover the untold stories of Independence and Partition in the country’s recent history. Other short films showing include “Mzungu Rides” – the story of a trip from London to Cape Town on a 350cc trail-bike, “Wild Ice – Backcountry Skiing in Alaska” (pretty self-explanatory!) and “By My Side”, a tale about an Iranian truck stop with a difference. It’s a slow start for the shows today, so now is the perfect time to come and pay us another visit. If you’ve been thinking about climbing to the Roof of Africa, we are the perfect people to talk to. Watch a video of our ultimate adventures and have a chat to our resident adventure travel experts. Our Mount Kilimanjaro treks always go down a treat – in fact, Keith has climbed Kili ten times now, so he has a lot of experience to share! You can also get your hands on a hard copy of our exclusive Kilimanjaro guide book. And don’t forget to enter the competition if you haven’t already! Once you’re nice and caffeinated, head over to the Discover Africa Theatre to hear about the hidden gems of Morocco from Steph Millington. Steph shares her journey from the Atlas Mountains down to the Atlantic Ocean, discovering old fishing villages once frequented by surfers, the traditional towns of Sidi Ifni and much more. This is a great talk for anyone who is interested in experiencing Morocco off the tourist circuit. If you’re looking for an extreme adventure story to give you some bucket list inspiration, don’t miss Andy Bartlett’s talk. Andy has travelled across Europe by land and sea, taking a stand-up paddle board 3000km across the continent in 2016, and biking from London to the Black Sea for 4500km in summer 2018. In this presentation, he discusses how each journey showed him a new side of Europe, and shares a few of his favourite moments. Those of you who have big treks like Everest Base Camp on your bucket lists will love this Cicerone workshop. Here, you will learn about the practicalities of trekking outside of Europe, from accessibility and safety to training and equipment. You can ask any questions you have, and hear about both the famous trekking routes and new emerging trails around the world. If you’re more of a water baby than a land lover, instead make your way to the World of Adventure seminar room to witness an incredible presentation following the giants of the underwater world. If you’re a fan of scuba diving, this is going to be right up your street. Ralph Pannell is a professional underwater photographer, who will here share some of his most incredible encounters with sharks, manta rays, blue whales and more. There are lots of elements to consider when thinking about responsible travel, but if you want to learn more about how to reduce your environmental impact while travelling, this panel discussion is a must-see. One of the world’s best adventure travel destinations is Morocco. Chris Scott has been travelling around the country by car and motorcycle since the 1980s, exploring the deserts, mountains and everything in between. If you’re dreaming of an adventure trip to Morocco, this talk is well worth catching. This is just a fraction of what’s waiting to be discovered at the Adventure Travel Show 2018. It’s going to be an amazing weekend full of wanderlust, inspiration and adventurous souls. We hope to see you there!